We arrived at the border from San Jose. The Costa Rican guys on the desk were a bit stroppy which was surprising given the high level of tourism in the country and they took exception to our exit cards which we had got when we entered. I refused to give any ground and in the end the guy tore up my card and entered all the details on the computer. Jonna was standing next to me and I told her to do the same, which eventually worked. We lined up for Nicaragua, and made a strategically sound choice to stand behind the shiftiest looking person in the queue. We chose a guy who was holding his luggage, but also pushing one bag along with his foot "out of sight" of the officials. Of course it wasn't out of sight and turned out to be full of lightbulbs. We raced by whilst he was begin questioned and were in. Back on the bus we continued to Managua and took a room for 5 hours before the bus carried on early morning. One night in Managua was spent eating friend chicken and drinking beer. We had a $10 dollar room in a hostel next to the bus station from where we were leaving at 5 in the morning. We got back to it at 1 in the morning and it was completely locked up. Eventually the night porter grumpily opened up to let us in. Small bribes are extracted at every border crossing in Central America but the advice is just to pay up, usually only $2-5. 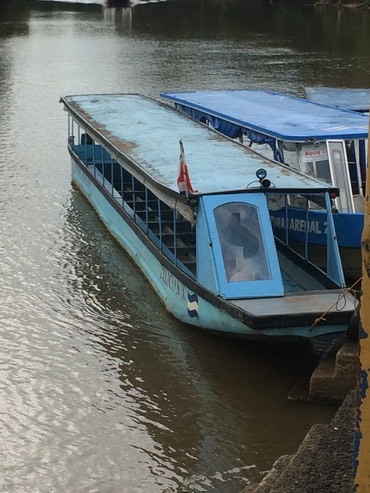 Determined not to be the usual traveller types we decided t enter Nicaragua by boat from Costa Rica. All good in practice but when we reached the border there was confusion as to whether there would be a boat that day, so we retired to a hotel for lunch and a beer to see what happened. After a couple of hours news reached us that there would be a boat so we cleared the immigration and customs “shed” and set off to board our boat. We had pre-booked a 5 day kayak trip from San Carlos to the caribbean coast. The two of us in a double kayak with a support zodiac set off through rain, rapids and a series of increasingly less salubrious accommodations; hotel, B&B, army border posts….. But, we made it. 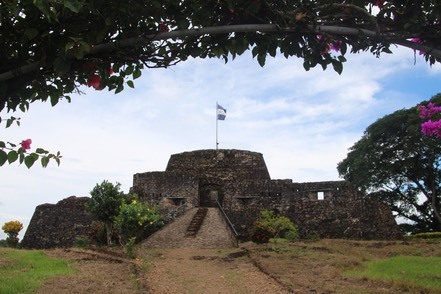 The key highlight on the way was a Spanish Fort that was captured by Nelson in his early days. 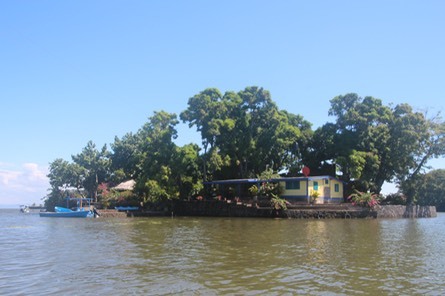 A flight from San Carlos took us to Ometepe an island in Lake Nicaragua which is definitely on the tourist trail. This was a relax spot but we managed some kayaking (a bit of a wind down from the San Carlos expedition). 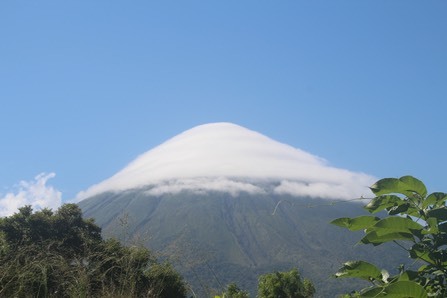 Also witnessed some incredible cloud formations on Ometepe’s volcanoes. Leaving Ometepe was classic traveller. Ferry, shared taxi, then chicken bus all the way to Granada, a beautiful colonial town where we bagged spots in a hostel with a pool. We weren’t quite the oldest residents but close. A great trip is available around the islands in the lake, some of which are also restaurants. 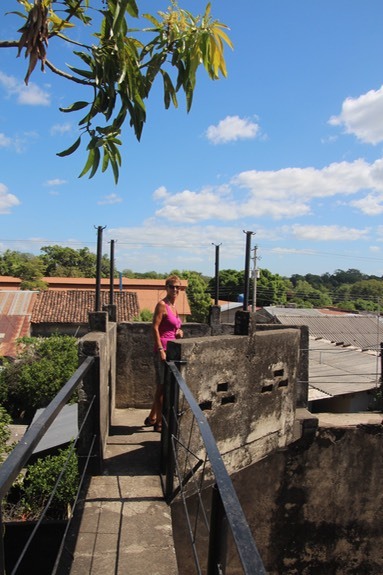 From Granada we made our way to Leon, heart of the revolution and our last point in Nicaragua. More sloths on a volcano tour and some great revolutionary sites gave extensive background on the troubles. 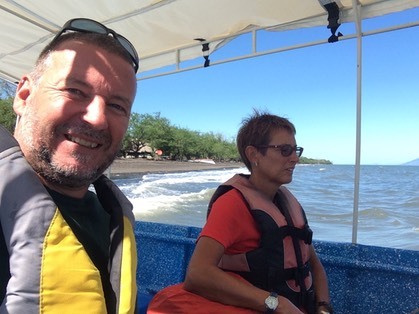 Continuing our non-traveller approach we decided to head to El Salvador by boat across the Gulf of Fonseca.